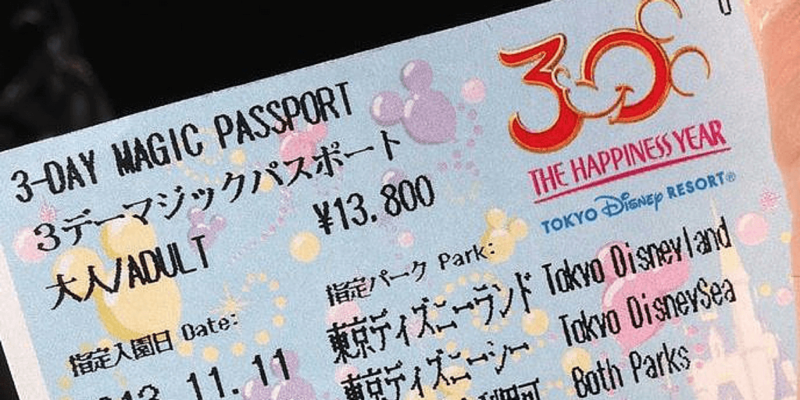 Ticket changes are coming to Tokyo Disney Resort in 2016. Starting in October 2016, same-day ticket sales on weekends and Japanese National Holidays are NOT available. Guests must buy these tickets in advance. Ultimately, what this means is you cannot decide to visit the park on these days without first having purchased an advance ticket. Correction: Tickets specified without a date (known as an open ticket) cannot be used on Japanese National Holidays or weekends. You must change the open ticket in advance to those dates (which can be done at the resort). Any tickets you buy in advance or at the ticket booths are all valid on these days. Guests staying at the Disney hotels or Official Partner hotels are guaranteed admission to the parks regardless of whether or not they purchased their tickets in advance, along with Annual Passholders (same restrictions apply to annual passholders). If you are staying at one of these hotels, you do not have to worry about advance buy as you can buy them at any time during your stay. Same-day ticket sales for weekends and Japanese National Holidays are no longer available starting October 2016. Disney or Official Hotel guests do not need to buy in advance. These guests are guaranteed admission. Annual Passholders have the same restrictions (no admission on park capacity days for 2-park Annual Passport). Tickets are available online and at various locations around Japan. Read our full guide to purchasing park tickets for more information.